Former Socialist-Revolutionary installed by the British as head of a puppet ‘National Government of the North’ at Archangel in 1918. This Lyons-based Jacobin emerges as one of the heroes of Michelet’s immortal “History of the French Revolution.” Having become a friend of many of the leaders of the Jacobins and the left of the revolution in Paris, upon his return to his native Lyons he was active in the implementation of revolutionary measures against the clergy and in support of the poor. After entering into direct conflict with the royalist remnants in Lyons, and failing in obtaining the establishment of a revolutionary tribunal and army, he was arrested by the local Convention and guillotined on July 16, 1793. His demise was the beginning of series of federalist revolts that saw the fall of other provincial cities and departments. Chalier was considered one of the three great martyrs of the revolution, along with Lepeletier and Marat. Son of Joseph Chamberlain and half-brother of Neville; educated at Rugby and Cambridge, entering Parliament as a Tory in 1892. Chancellor of the Exchequer 1903-6; Secretary for India in Asquith's 1915 coalition and a member of Lloyd George's War Cabinet; Chancellor once again 1919-21. Helped to draft the plans for de-controlling the coal industry in 1921 which led to the 'Black Friday' defeat for the miners. Foreign Secretary in Baldwin government; played an important part in framing the 1925 Locarno pact, an attempt to stabilize the capitalist powers in Europe. Known to enjoy family holidays with Mussolini. Imperialist politician and capitalist who made a fortune out of Nettlefold's screw factory in Birmingham. After a period as Mayor of Birmingham he entered parliament as a Radical, joining the Liberal government in 1880. Although an advocate of social reforms he was a strong supporter of all forms of imperialism and resigned from Gladstone's government in 1886 in opposition to Irish Home Rule. Subsequently led the 'Unionist' section of the Liberal Party which joined the Conservatives in 1895. Colonial Secretary until his resignation in 1903 when he opened a campaign of agitation for imperial preference trading policies. Father of Austen and Neville Chamberlain. Though he wrote nearly a score of books, he remained essentially a newspaperman. In a career that spanned half a century, he traveled extensively, meeting people, asking questions, shaping and reshaping his own views. In 1922, Chamberlin traveled to Moscow for the first time, on behalf of the Christian Science Monitor, and he stayed there until 1934. In 1941, Chamberlin escaped from Nazi occupied France, after having been a correspondent there for two years. He died from a stroke, while on a mountain trail in Switzerland. Close sympathiser and later member of the Lanka Sama Samaja Party. Jailed during WWII for anti-war activity. Jailed again for supporting the bus strike in Colombo, 1947. Editor, Nidahasa [Freedom], a pro-Lanka Sama Samaja Party weekly newspaper. Member of Parliament (Moratuwa), 1947-56. Split from LSSP, October 1953. Unsuccessfully contested 1956 election as an Independent. Joined SLFP. Member of Parliament (Kesbewa), 1960-64, 1965-71. Deputy Minister for Cultural Affirs, 1970. Chair, Piliyandala Town Council. Wrote poetry in Sinhala. Formed the Samastha Lanka Kavi Sammelanaya, an association for poets. Narrowly escaped assasination by JVP, 1970. After business studies, became businessman and representative. Joined SPD (Sozialistische Partei Deutschlands, Social-Democratic Party) before war. Joined USPD in 1917, and KPD (Kommunistischen Partei Deutschlands/German Communist Party) in 1920. Disowned by KPD for having agreed without its authority to Bielefeld agreements following Kapp Putsch. He joined Levi in KAG, but broke with him and continued to be Party secretary in Elberfeld. Played important role in 1923 in preparing for insurrection in the Ruhr. Hunted by police, took refuge in USSR. In Leningrad, supported Left Opposition. The Social- Democratic press announced that he had been executed, which KPD denied. Born Khardah (Barrackpore Sub-Division, District of North 24 Parganas, Bengal). Joined Bolshevik Leninist Party of India, 1943. Organized white-collar union at Cox & Kings Ltd., 1945. Strike leader, Cox & Kings, 1946 and 1947. Member, Union Executive Committee, 1947. Union organizer, Burn and Co. pottery works, Raniganj, 1947. General Secretary, Titaghur Paper Mills Employees Union. President, Plassey Sugar Workers Union. Attended Bolshevik Leninist Party of India conference, 1948. Entered SP with BLPI, 1948. Member, Working Committee, West Bengal Hind Mazdoor Sabha. Came to the throne in 1625 and attempted to rule without calling parliament after 1629. Failing to arrive at agreement with his 1640 parliament he led the royalist forces against the parliamentary army in the Civil War from 1642 until his surrender in 1646. He was executed in 1649. Assumed the title of king in exile on his father's execution; crowned in Scotland in 1651. Tried unsuccessfully to regain rule over England; reinstalled with the fall of the Commonwealth in 1660. Formed an alliance with France to fight Holland in 1670; built up British naval power. His reign was marked by the economic development resulting from the bourgeois revolution. Cofounded Chinese Communist Party (CCP) with Li Dazhou (Li Ta-chao) in 1921. Served as CCP General Secretary from 1921 to 1927. Chen’s political involvements began during his work as dean of the school of arts and sciences of Beijing University from 1917 to 1919. He is credited with influencing student radicalism through his publication New Youth. Under the leadership of Li and Chen, the CCP developed a close relationship with the Comintern. The Comintern’s directives to the CCP were provided by the Comintern’s representative in China, Henk Sneevliet. At the direction of the Comintern, Li and Chen were inducted into Sun Yat-sen’s Guomindang Party in 1922. Chen followed Comintern policy in the 1925-27 revolution but concluded the Comintern’s policy of allying with the Guomintang was the cause of the defeat of the revolution. He joined the International Left Opposition and was either expelled or withdrew (accounts of his departure vary) from the CCP in 1927. 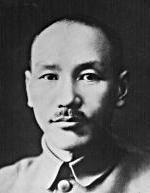 He was arrested by the Guomintang in 1932 for illegal political activities. Following his release in 1937, his politcal involvements were minimal to nonexistent up to his death. Considered the founder of Chinese Trotskyism. Born Chen Shangyu in 1904 in Hui'an Shangyu, Fujian Province, China, Chen was raised in Jimei. He studied in Shanghai, where he joined the Communist Party of China in 1927 and participated in the Northern Expedition at the First United Front between the Communist Party of China and the Kuomintang. After the failure of the expedition, Chen relocated to Nanjing, where he was arrested. After a month, he was freed and the Communist Party sent him to study in Moscow. He returned to China in 1931 and went on to teach and write history in Peking. Around this time, he began using "Chen Boda" as his pseudonym. 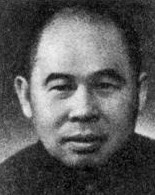 In 1937, he moved to Yenan where he taught in the school of party cadres and acted as Mao's political secretary until 1941. He was one of the initiators of the Yenan Rectification Movement. He also worked as a journalist, becoming director of the Chinese periodical Hongqi (The Red Flag). In 1951, he wrote a series of influential articles and a book on Mao's thought. Chen was primarily responsible for compiling the quotations that comprise the book Quotations of Chairman Mao Tse-tung. In 1966, he wrote an editorial entitled "Sweep Away All Monsters and Demons" in Renmin Ribao (People's Daily). This work marked the beginning of China's Great Proletarian Cultural Revolution. He was a key figure in the group headed by Mao's wife Jiang Qing, guiding and participating in radical social and cultural initiatives until his prominence waned in 1973. Jiang and her associates, collectively dubbed "The Gang of Four" were sacked by Hua Guofeng in 1976. Chen was placed on trial with them in 1981 and was ultimately sentenced to 18 years in prison. He was released shortly before his death. 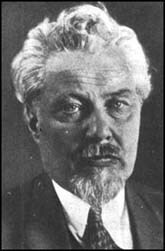 Georgian Menshevik, first president of Petrograd Soviet in 1917. Member 3rd and 4th Dumas. Member Provisional Committee of Duma. In War, a centrist. Later a member of the Provisional Government. After the October Revolution, became Chairman, Central Committee of All-Russian Soviets. Chairman, Constituent Assembly of Georgia 1918. Left Russia in 1921 after the Red Army overthrew the Menshevik government of Georgia. Retired from politics, committed suicide. One of the leaders and theoreticians of the Socialist-Revolutionaries. Entered politics in early 1890s. Founder and leader of Russian Socialist Revolutionary Party. Emigre 1899-1917. Participated in the Zimmerwald Anti-war Conference. Minister of Agriculture in Provisional Government May-September 1917, in which position he sanctioned repression against peasants who seized landed estates. 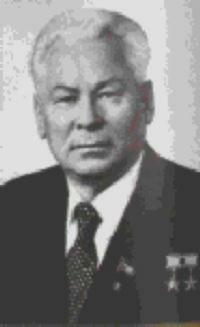 Later elected Russian president. Chairman of the Constituent Assembly in 1918. Helped anti-Soviet risings by counter-revolutionary Czechoslovaks. Headed Ufa Directorate. Arrested by Kolchak and released. Emigrated to the West in 1920. Member Executive Committee of Second International. Leader of Soviet Union February 1984 till his death a year later. In many ways prepared the ground for his protegé Mikhail Gorbachev. Promoted turn to production of consumer goods and loosening of Andropov's strict political control. Russian author and critic whose novel What Is To Be Done? was influential in the the Russian populist movement. 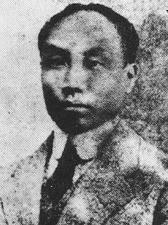 Born in Chekiang; served in Japanese Army; assisted Sun Yat Sen in building Chinese Nationalist Army after declaration of Republic in 1911; trained in Red Army in 1923; succeeded Sun Yat Sen as leader of Kuomintang after his death in 1925; under CKS's leadership the Kuomintang moved to the right; fought civil war against Communist Party 1927-1949; against the Japanese 1931-45, in a tenuous 'united front' with the CCP; received support from the US throughout, and from Nazi Germany and the USSR until 1945; fled with his forces to Taiwan in January 1949. Chicherin speaks as if he were a dead man or a ventriloquist's lay figure. And indeed he is half-dead. He has never learnt the art of releasing himself from drudgery by handing it over to his subordinates. He is permanently tired out. You feel it is almost cruel to say "Good morning" to him when you meet him, because of the appeal to be left alone that comes unconsciously into his eyes. Partly in order to avoid people, partly because he is himself accustomed to work at night, his section of the foreign office keeps extraordinary hours, is not to be found till about five in the afternoon and works till four in the morning. 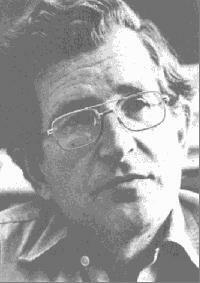 American linguist and political activist who founded the system of linguistic analysis known as transformational-generative grammar; a consistent and vocal critique of U.S. foreign and domestic policy and the social role of the mass media, Chomsky’s linguistic theory has also been central in the development of modern Complexity theory. Chomsky is a Kantian in philosophy, being a defender of the idea of innate cognitive faculties. Chomsky's interest in linguistics dates from his childhood and he went on to study linguistics at the University of Pennsylvania, publishing his doctoral thesis under the title, Transformational Analysis, and by 1966 he was professor of foreign languages and linguistics at the Massachusetts Institute of Technology. Like Kant, Chomsky held that experience and socialisation could not provide the fundamental rational faculty required for the interpretation of experience. At the time, in the mid-1950s, this position was against the stream, with the rising structuralist schools (see Roman Jakobson and Claude LéviStrauss) regarding all social and linguistic forms as entirely arbitrary, and acquired by individuals from their socialisation within a given social structure. Conversely, Chomsky hypothesised that human beings had an innate facility for comprehending very fundamental syntactic structures, which related to the actual syntax of any given language in much the same way that fundamental mathematical forms like topology and algebra relate to the more concrete forms in common use, such as arithmetic. Young children it is then supposed, are able to draw on an innate facility in these fundamental structures to infer the meaning and syntax of the language they hear around them. This also solves the problem that children are able to formulate grammatical rules and compose sentences that they have never heard before, and in fact are known to be able to construct sentences which adhere to grammatical forms never used by adults, but repeatedly used by young children. The key concept in Chomsky’s linguistics is then the way in which increasingly concrete forms of grammar (“surface structures”) can be generated from the supposed innate structures (“generative grammars”). Conversely, analysis of language sought to disclose the underlying “deep structures”. The formal mathematical rules by which one grammar is generated out of another Chomsky called “transformational rules.”, which he held to be basically the same in all languages, corresponding to innate, genetically transmitted mental structures in human beings. Chomsky's claim for innate knowledge of language has never been widely accepted, but the mathematical methods he introduced for the study of linguistic structure truly changed the landscape in linguistics. The marriage of Chomsky’s structural concepts developed to cope with the infinite complexity of human language, with Turing’s algorithmic approach to the analysis of logic and computational machines, has proved fruitful in the development of the most mathematical aspects of complexity theory. Chomsky also became well known for his opposition to the United States' involvement in the Vietnam War during the late 1960s and early '70s. In a protracted campaign against the way the War was presented on the mass media he demonstrated how the very structure of these media militated against the expression of dissenting views. His books criticising American foreign policy and the role played by big business and the mass media include American Power and the New Mandarins (1969), On Power and Ideology (1987), Necessary Illusions: Thought Control in Democratic Societies (1989). See his Language & Mind (1968). Leading imperialist politician of 20th century. Born into an aristocratic family; educated at Harrow. Entered parliament as a Conservative in 1900 but joined the Liberal Party in 1906. As President of the Board of Trade from 1908 was responsible for the introduction of Labour Exchanges. Home Secretary in 1910. In 1911 ordered soldiers to stop striking miners and dockers. Personally directed the burning to death of a group of armed anarchists in Sidney Street, London. Secretary for War and Air in 1919-21, and extremist advocate of immediate and sustained armed intervention against the R.S.F.S.R..
After the 1924 election returned to the Conservative Party as Chancellor of the Exchequer in Baldwin's Cabinet 1924-29. Responsible for the disastrous return to the Gold Standard in 1925 which increased export prices and led to substantial wage cuts for miners and other workers. During the 1926 General Strike he organized the anti-labour blackleg government newspaper, the British Gazette. Many factors, including his vehement opposition to Hitler, the Munich Pact and Chamberlain's appeasement policies, isolated him within the Conservative Party. Upon the outbreak of war in 1939 he returned to the British Cabinet, with responsibility for the British navy. He became Prime Minister with the fall of Neville Chamberlain's government in May 1940, and established a coalition government. Labour's Clement Atlee became Lord Privy Seal (responsible for government business in the House of Commons) and later, Deputy Prime Minister. Churchill was an early admirer of Mussolini, referring to his "Roman genius." He generally believed that Italy should be kept out of an alliance with Germany and, before the Italian declaration of war in June 1940, desperately tried to induce Mussolini to remain neutral. Defeated overwhelmingly by Labour in the the 1945 General Election. he served for a final period as British Prime Minister from 1951-55.